Here at the SBDC, for nearly 20 years we have been battling ALL DAY, EVERY DAY to keep San Diego & Imperial County’s businesses hiring instead of firing, and growing instead of closing. The San Diego & Imperial Valley Small Business Development Center (SBDC) network provides a vast array of "No Cost" and "Low Cost" support to entrepreneurs and small businesses through our four locations in Carlsbad (North San Diego), National City (South San Diego), University of San Diego (SBDC The Brink) and El Centro (Imperial Valley). The SBDC's top priority is to empower small business creation and growth to achieve job creation and retention, capital investments, and dynamic innovation that improves the quality of life in San Diego and Imperial Counties. Our North San Diego County Center in Carlsbad is hosted by MiraCosta College, our South San Diego County Center in National City is hosted by Southwestern College, our SBDC The Brink is hosted by USD and our Imperial Valley Center in El Centro is hosted by the Imperial Regional Alliance.  With over 1,000 centers nationwide, the SBDC is the largest business assistance organization in the United States. To provide business advising and training to San Diego and Imperial County businesses resulting in economic growth and prosperity for the region. Moving every entrepreneur towards business success.